What do you do when your million-dollar blog post idea strikes? You scramble to your computer, giddy with excitement, and type as fast as your little fingers are capable. If there were competitions for typing, you’d be taking home the gold. Only . . . where’s the engagement? No one seems to be making it past the headline, and you’re about ready to swear off any further ideas and ditch the whole blogging thing altogether. But that doesn’t have to be the case. Do you want to get readers past the headline? Do you want them to read your first sentence, and your second, and your third until they reach the end and can’t help but leave a comment or hit that “share” button? It’s possible, and it all starts with a killer introduction. 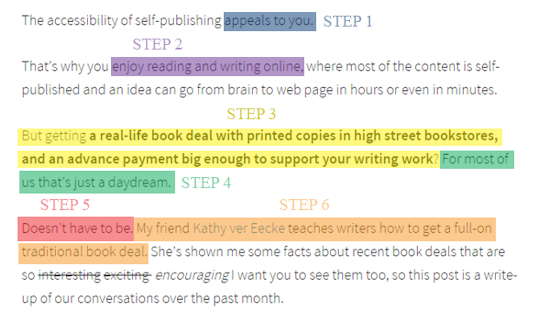 Use this 6-step formula to captivate your readers from the start every time. You want people to connect with your content, and you can accomplish that by talking directly to them. Use the word “you,” or directly ask your readers a question. Through this technique, you create an emotional bond with your audience that they can’t ignore. On the other hand, when you launch by talking about your own stories and successes, it’s easier to lose readers because they aren’t personally invested in your blog post. Instead of launching with your own story, pull the reader into it by addressing them right away. Let’s take an example from Adam Connell. In his post, “The Essential Guide To Must Have WordPress Plugins,” Adam gets around to telling his own story, but only after pulling the reader in. I’ve built my fair share of websites and tested a lot of plugins in the past. This has led me to creating my own list of go-to WordPress plugins. Have you ever installed WordPress and wondered what plugins you should be installing? There are thousands of plugins you could install which means it can be challenging to choose. Now that he’s addressed us and made us part of the story, we feel invested in it, and his own experiences become more credible and interesting to us. You want people to feel something with your content, and that’s where describing emotions can come in handy. Emotions push your readers to continue reading. Most bloggers are already taking this step without realizing it, and it’s actually a lot easier to incorporate into your copy than it sounds. Let’s take a few examples to get a good idea of how to apply this step. That’s her intro sentence, and doesn’t it make you want to read more? Of course you’re excited over your new blog! She gets you, and you want to know more about what she has in store for bettering your blog. The sound of crickets in your comment section. The radio silence on your Twitter feed. The deafening sound of a lack of engagement on your blog. Can you spot what emotion she’s describing? Sarah never had to come out and say you were lonely, but she elicits a feeling of loneliness anyway. Every blog post you write should aim to solve a problem, such as by educating, informing, or entertaining someone. After all, who’s going to read your content if it’s not going to help them? By explicitly identifying your readers’ problem, they already know that you’re going to help solve it, and that’s going to keep them engaged. Better yet, you’ll captivate the people who didn’t even realize they had a problem worth solving in the first place! This problem might be lack of knowledge, poor results, wasted time, wasted money, etc. We all want our content to get results. We want more eye-balls on our content and we want that content to convert. But how can we get the results that we want to get? Here, our problem is poor results from our content. Have you ever wondered which WordPress plugins could help your content marketing efforts? Side note: Don’t you love how Adam has incorporated all of our first three steps into one sentence? He addresses the reader by using the term “you,” he describes an emotion (wonder), and he identifies a problem (lack of knowledge in WordPress plugins) all in under 15 words. Now that you’ve identified your reader’s problems, build the excitement by playing off their hopes and dreams. It’s okay to tease your readers a bit at this point. It’s all about building anticipation. Pose a question about what your readers might want. Tell a story about results successful people have seen in the past. Give a number to how much time or money they dream of saving. There are numerous ways to apply this step, but it’s easier if I show you a few examples. Have you ever wondered how some bloggers seem to be propelled towards success as if a mystical force is just “making it happen” while others just never quite seem to make it? We all dream of making it big and having an audience that hangs on our every word while singing our praises to everyone they meet. Here, he literally spells out what his readers dream of. Have you ever wanted to rapidly increase your email subscribers? Not just by a few sign ups a day, I’m talking about a 529% increase in conversions. By now you’re thinking, “Holy cow! I want a 529% increase in conversions!” And now he’s roped you in, and you’re hooked. See how to work the magic? Feel free to word it however you want, but nonetheless, readers should know that you’re going to make their dreams come true. You want to drive more traffic to your blog, but how do you get started? There are a huge number of tactics that you can use, some work better than others, and some require more time to get working. But the truth is that even if you’ve found traffic generation challenging, you can make it work, and I’ll show you how. …your list hasn’t grown much at all in the past week, or the past month. And it’s annoying as all heck. Finally, show your readers how you’ll fulfill your promise. This will lead them into your blog post’s body seamlessly to keep them reading. Typically, this will be something along the lines of, “Follow these tips…” or “Read on to learn how…” but you can certainly get creative. …So I decided to take this approach and put it to the test. I wrote a new post on my blog and outreached to 21 of the top guys in the content marketing world. Then I followed Adam’s formula step by step. And….I got an 80% engagement rate! Let me take you quickly through the specific steps I took in order to achieve this result. … If you’ve already tested out popular social media management tools, chances are you haven’t even scratched the surface of what’s out there. Perhaps consider the following social media management tools for your team in 2016. You’ve learned the six steps to this blog post introduction formula, but if you’re a bit overwhelmed at this point, don’t fret! It’s actually a lot easier to put these steps together than it sounds. Remember, you can combine steps, and most of them can be short, simple phrases. Let’s take some examples from two bloggers to see how they’ve put each step together into a cohesive introduction. Want another example? I used the same formula in my introduction. Can you spot where I used each step? 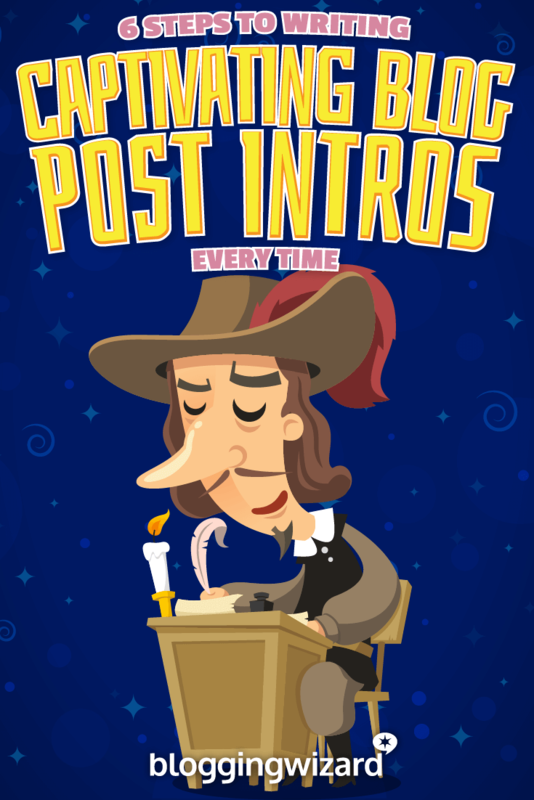 By no means is this the only formula for writing blog post introductions, but it is one that works. Feel free to play around with these six steps until you find a style that works for you. Combine steps together, skip over a step if you need to, or add your own steps. Now it’s time to practice! 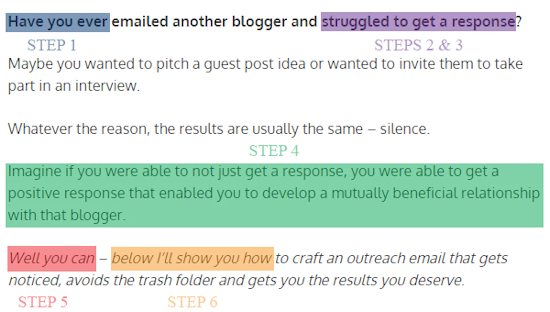 Take this six-step formula with you the next time you write a blog post, and let us know how it goes. Alicia Rades (@aliciarades) is a professional blogger for hire who specializes in blogging, freelancing, and lifestyle topics. Learn more about her at aliciarades.com, where you can download her free blogging guide, 20 Questions to Ask Yourself Before Hitting Publish.